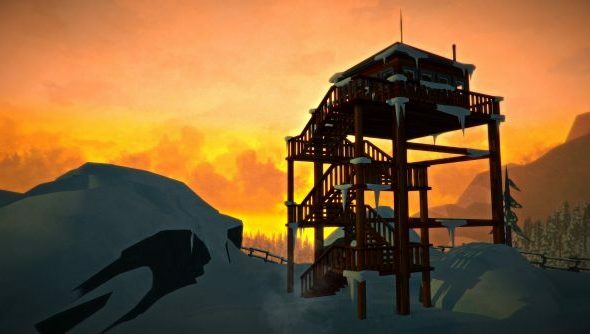 Of all the many, many survival games currently consuming flesh, bugging out and killing you on Early Access, The Long Dark is probably my favourite. It’s got that beautiful art style of course, but there’s something about the pure isolation it’s focused on that I particularly like. There’s very few other things out there in the wilderness with you, which only makes the landscapes that much prettier. Their latest patch has just hit, introducing a new area called Desolation Point to the sandbox mode, along with a pile of smaller changes. The other big additions are metal forging and adding a weather system. A forge has been added in the world that must be activated with coal, also newly added. Once you’ve got it heated up you can craft various simple tools using scrap metal and a hammer, making your scavenging more effective for actually keeping you alive. Meanwhile the weather system means changes in the atmosphere are less binary. Blizzards can be predicted based on the colour of the sky, giving you time to get in doors and out of the cold before it hits. There’s also a certain amount of rotation to each kind of weather, meaning players will eventually know what’s coming next based on the region, time of day and what the state of things currently is.